g.gui.tplot - Plots the values of temporal datasets. 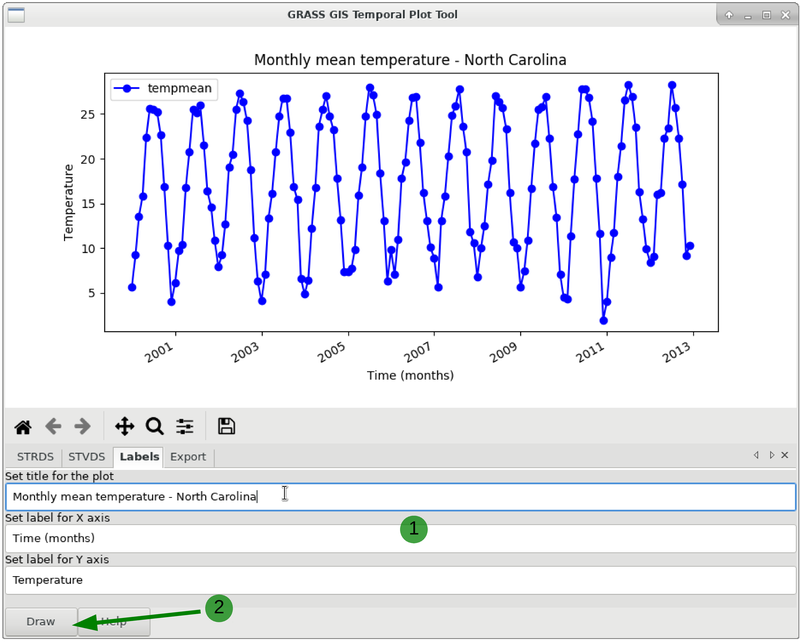 The Temporal Plot Tool is a wxGUI component that queries and plots the values of a point, defined by a coordinate pair, in one or more temporal datasets (strds, stvds, str3ds). export the time series values to a CSV file. To optionally add a title to the temporal plot and/or change the x and y axes labels, first type the desired text and then click Draw as showed below. 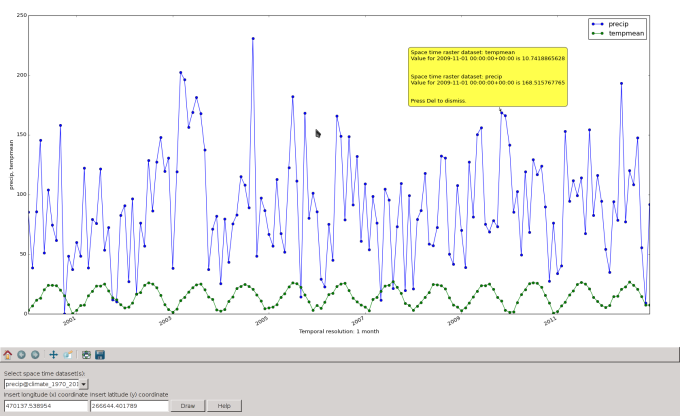 To export the time series data to a text file (date and data values), type a name for the file and click Draw again. Optionally, set the check-box to print headers, as well. 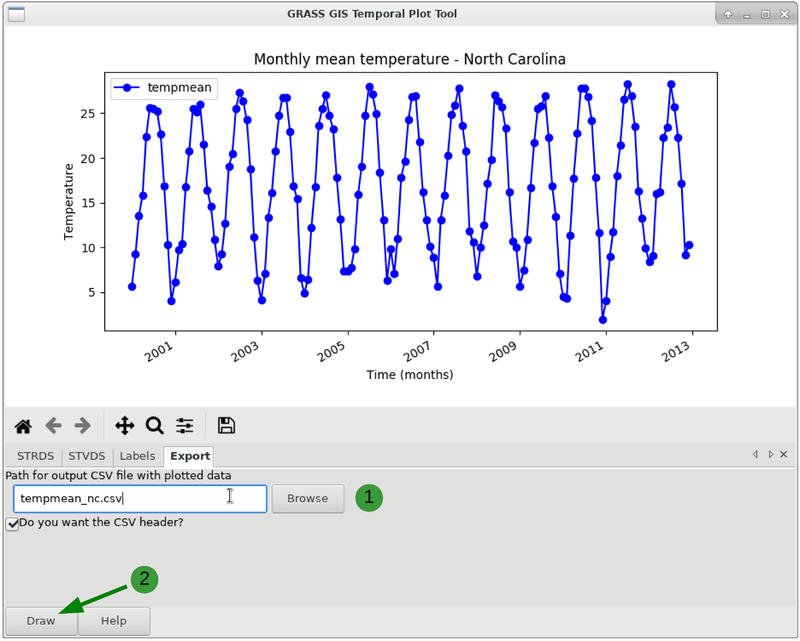 g.gui.tplot requires the Python plotting library Matplotlib.